Editor’s Note: Ekaterina Walter serves in an unpaid, advisory position to Kred as a “Kred Leader“. The opinions stated in this post belong solely to her, as a contributor to The Next Web. 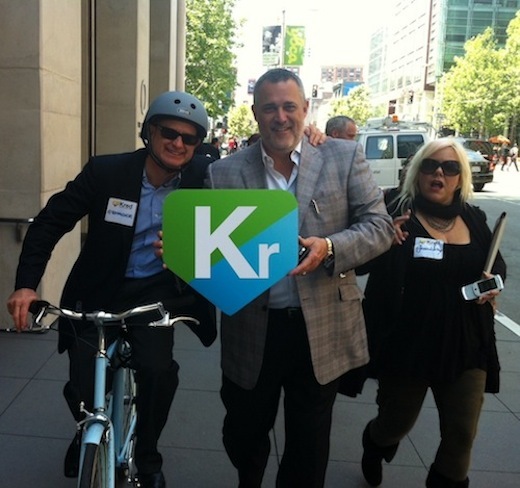 You probably heard: Kred just launched Kred Rewards. An interesting topic – “online influencer rewards and perks”. Klout had muddied the water by managing to irk many key influencers and brands with its Perks program. For every cool well-publicized Perk — like entry to Cathay Pacific’s lounge or a weekend with a Chevy Volt, there were also plenty of examples that made it a figure of derision in the social media community, like modest hair gel samples and gifts that were out-and-out irrelevant to recipients (dog food offered to people that didn’t have dogs, and so forth). There was also an underlying whiff of elitism; did it really make sense to offer Perks to the noisiest people on Twitter, and then based on scores and topics that often seemed arbitrary and left many baffled? No wonder internally Kred had discussions for months about whether it should introduce an influencer direct marketing program along the lines of Klout Perks, and find a way to do it that stays true to the company’s core values of community and transparency. I was glad to see that Kred has watched and listened to what’s happened with its competitor, and developed a 12-point Kred Rewards Code Of Conduct that debuted on its site alongside its new Kred Rewards program. The Code underscores Kred’s commitment to making its Rewards shareable, transparent and above all ethical for recipients and the brands that want to reach them. Kred has consistently promised to be open with its users about how it calculates influence – something I, as a user, appreciate and respect. It is now extending the same courtesy to its brand partners by offering to reveal how it identifies people targeted for each Kred Reward. Not a bad first step in building trust with both customers and brands. Placing the right offer in the right hands at the right time remains the core puzzle of all marketing. Online influencer marketing based on social data has opened new vistas for direct targeting and uncovered new challenges. With new technologies and targeting opportunities, a strong ethical grounding is crucial, especially when a mishandled promotion is more likely to cause collateral damage to the brand than it is to its own service. The Kred Rewards Code Of Conduct is a step in the right direction for setting standards and assuring that everyone in the value stream – from brand to end consumer – is treated fairly and respectfully, and hopefully creates great brand experiences for all parties involved.